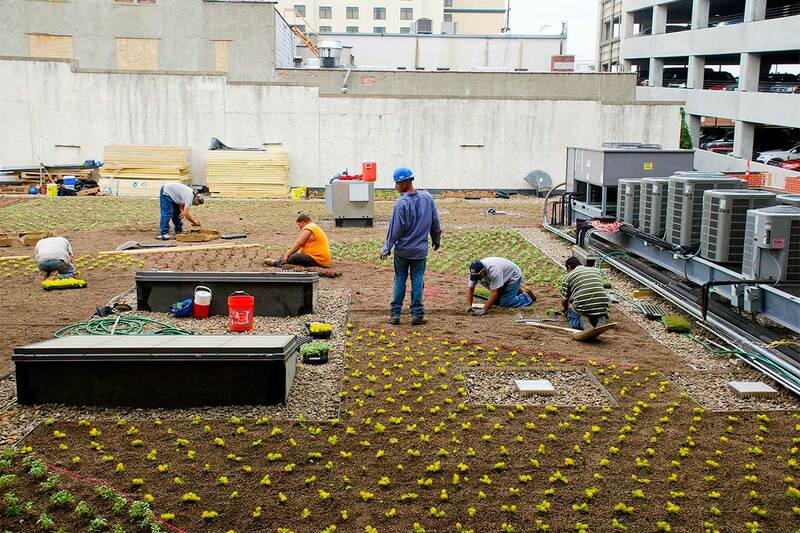 The Arbor Day Foundation’s green roof is a demonstration project of a contained green space on top of the headquarters building in downtown Lincoln, Nebraska, to show how green roof technology in cities can benefit the environment. 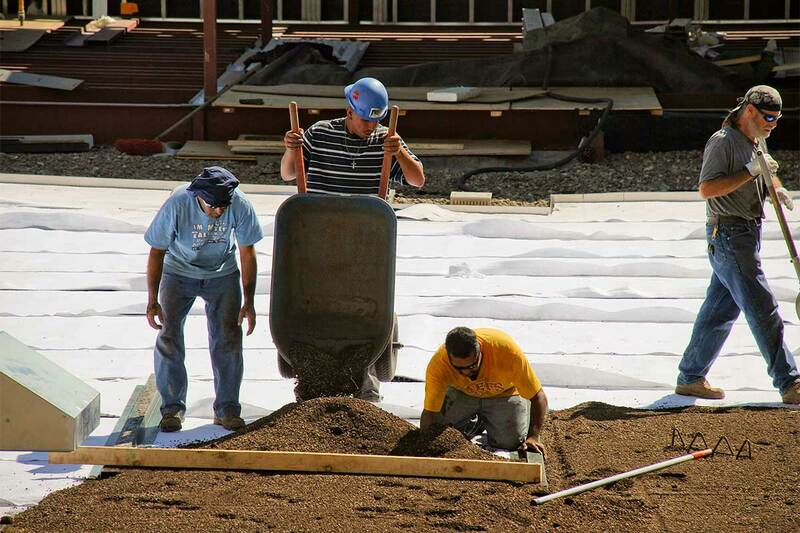 Because of the generosity of our members and partners who share in our tree-planting and conservation mission, the Foundation was able to construct the green roof demonstration. 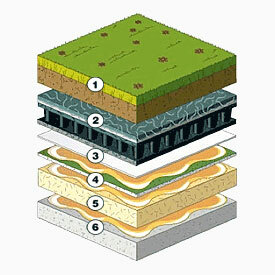 Our green roof is a lightweight system with only 2.5 inches of a specially formulated clay-based growing media. 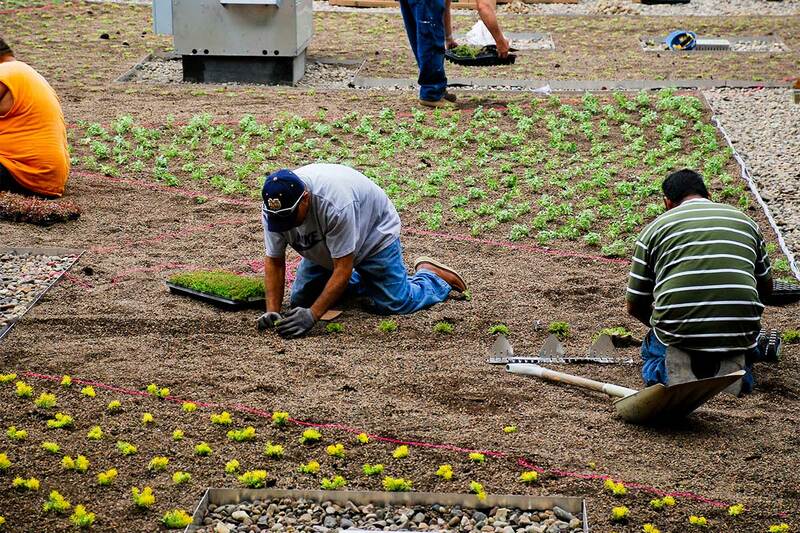 Most of the green elements on the roof will include sedum and other low-growing plants. The roof also contains a test plot for University of Nebraska–Lincoln professor of agronomy and horticulture Richard Sutton. 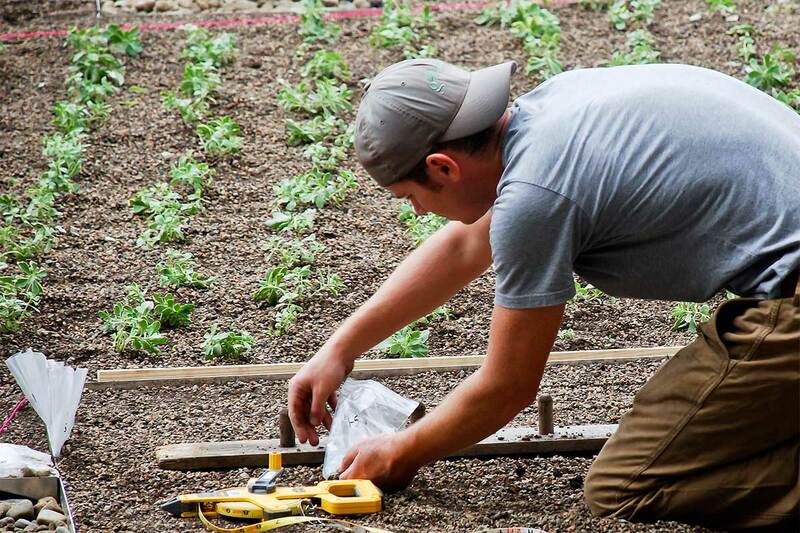 He is using the test plot to determine which native grasses can thrive and provide benefits in a green roof setting. 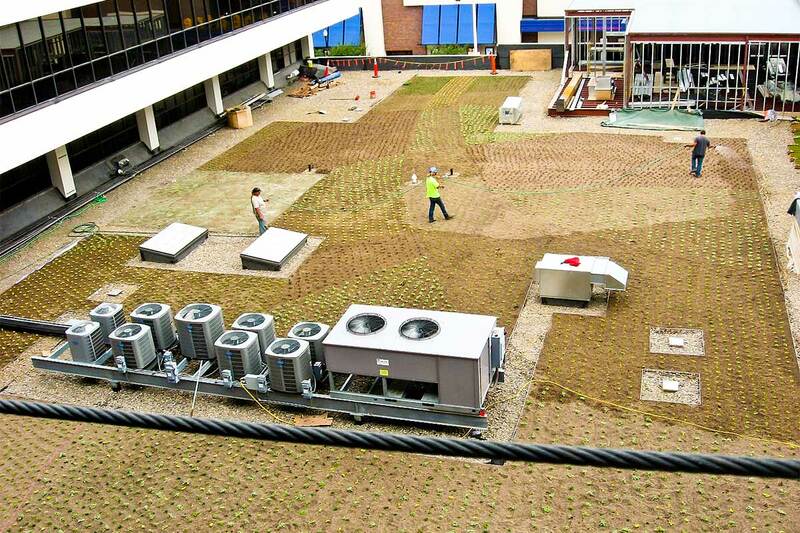 Green roofs retain and slow rainwater run-off during storms. The result is cleaner streams and rivers. In addition to providing oxygen, plants serve as natural air filters, removing pollutants from the air we breathe. 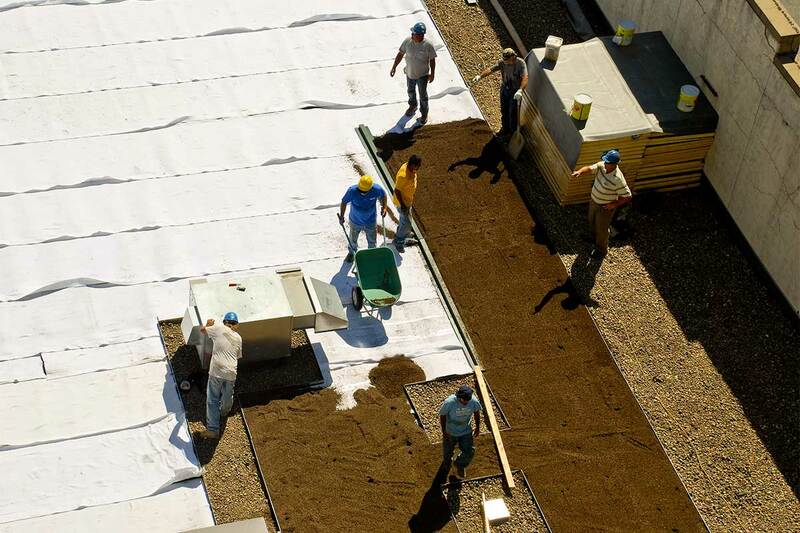 Ten square feet of a typical green roof removes about a pound of soot, dust and particles from the air every year. Green rooftops are much cooler than standard roofs. 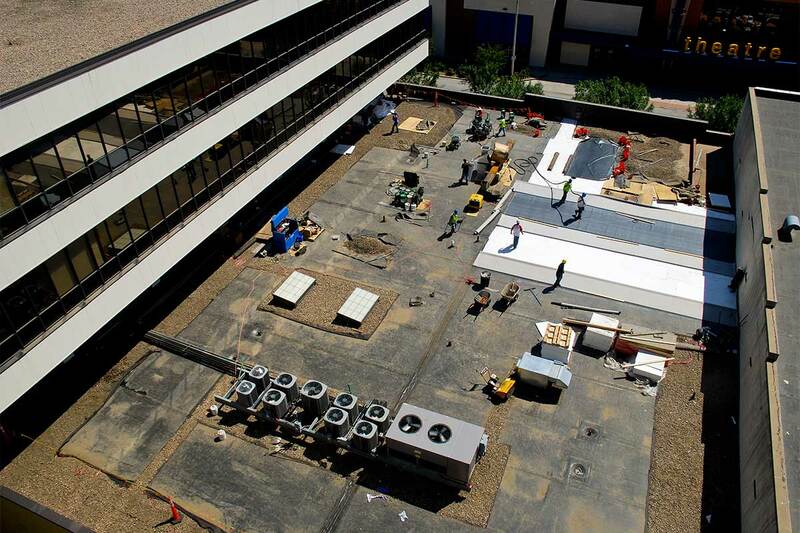 A building with a green roof can expect significant energy savings, up to 40 percent in some cases. 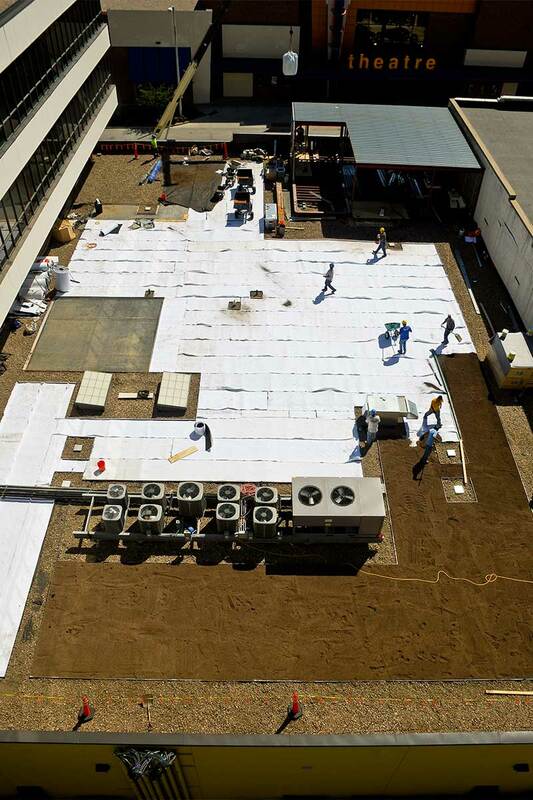 Rainwater released from the green roof is filtered as it travels through the assembly. As a result, water that eventually reaches rivers and streams is cleaner and healthier. Green roofs provide habitat for wildlife species in urban settings. It’s common to see native birds and insects feeling right at home on a green rooftop. Green rooftops help mitigate the “urban heat island effect” where temperatures are as much as ten degrees hotter than surrounding suburbs. If you want to learn more about green roofs, please visit the following websites: greenroofs.org and greenroofs.com.